The British countryside has become a bore because ‘there is nothing to see or do’, says 53 per cent of the nation's adults. A leisure report also found that five million adults would rather stay inside and play computer games than venture outdoors. John Tribe, Professor of Tourism at the University of Surrey said: “It is alarming news that over half of the nation thinks the British countryside is boring and there is nothing to do or see there. Maybe this is because in the last decade Briton's have preferred to holiday abroad and as a result; they have forgotten the UK is abundant with great rural holiday locations. "Now is the time to get back to basics and appreciate that the best things in life are free. Rural Britain is full of free things to do and see; it's just a matter of using your imagination. Hotel Company Travelodge conducted a survey to test 3,000 Britons on their knowledge of the countryside and alarmingly 1 in 10 adults could not even identify a sheep. The survey also found 83 per cent could not identify a bluebell flower, 71 per cent could not identify a pine tree and incredibly one in ten adults thought all berries and fungus found in the countryside were safe to eat. 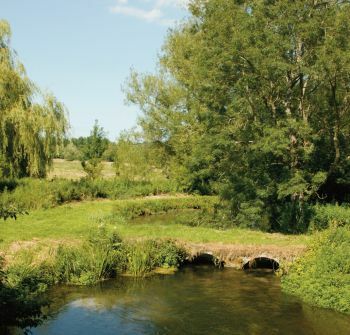 It also revealed that only 17 per cent of adults knew about the British Countryside Code, with over a third of respondents unaware of it's existence. Rather unsurprisingly, a fifth of British children believe the countryside is ‘unexciting’. Sandie Dawe, Deputy CEO of Visit Britain, said: "Britain's countryside is far from boring and we have some of the most famous landscapes from the picturesque Cotswolds to the spectacular views of the Lake District that draw visitors from around the world. It is important to remind Brits on what they are missing out on and what a great free attraction the countryside is". The countryside is viewed as part of quintessential England; old fashioned and outdated. People have become disinterested in it’s existence as the world evolves and the countryside remains unchanged. It’s stunning views and tranquil settings were once seen as the perfect escape from the noisy cities. But as reports and surveys have shown, the British people have turned their back on the countryside and will continue to visit elsewhere.